ANAHEIM, California – January 23, 2014 – NAMM booth #6824 (Group One Ltd.) — Blue Sky is proud to announce the worldwide debut of its newest monitoring solution, the Star System One 2.1, comprised of a single Sub 12D digital powered subwoofer and two Sat 6D digital satellite speakers. Designed and assembled in the United States, the new Sat 6D and Sub 12D can also serve as building blocks for systems of varying sizes and configurations, making them especially well-suited for broadcast, film post, and game sound design environments. 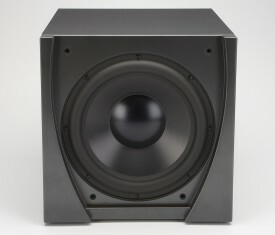 For the Sat 6D satellite speakers, Walborn’s research led him to identify an HF driver from Denmark with superb linearity, while the custom mid-bass driver is US-sourced and employs a unique radial neodymium magnet structure. Integrated DSP permits optimization of the system’s inherent performance parameters, including correction for various baffle and driver characteristics and time-alignment of the drivers. The system employs advanced-design Class D amplifiers that, according to Walborn, “maintain audio performance at levels that are equal or superior to high-quality – yet much less efficient – Class AB amplifier designs.” The Sat 6D is primarily designed to be used in a 2.1 or 5.1 system, but is also capable of being used very effectively as a full range system thanks to DSP and a unique sealed port design. 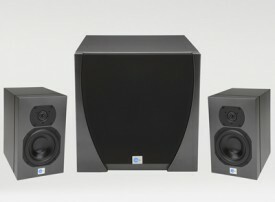 Walborn points out that Blue Sky’s new subwoofer, the Sub 12D, utilizes “a new long-excursion driver that produces improved performance over its predecessor in an enclosure that is about 33 percent smaller and lighter.” Like the Sat 6D, the Sub 12D is equipped with DSP, parametric EQ, and Burr Brown converters. During the design and refinement stage, Fichera brought various prototypes of both Sats and Subs to end users to gather feedback, and this led to further refinements and changes. At the heart of the Star System One 2.1 is the new Audio Management Controller (AMC), which optimizes and controls a wide array of functions across the entire monitoring system. The AMC is a 5.1/7.1 digital processor with 31-band parametric EQ on each channel, time delays for channel alignment as well as lip-sync, sample rate conversion, and both analog and digital inputs and outputs. The AMC’s hybrid touch/hardware remote control provides solo, mute, presets, master volume and other functions. Some setup functions, including room EQ, are accomplished in conjunction with a PC attached via the AMC’s USB port. The measurement and room EQ program utilizes a proprietary equalization optimization system developed by Walborn called BOO (Binary Organic Optimization). According to Walborn, this unique algorithm “compares thousands of settings in a matter of seconds, achieving the target correction curve with linearity that would be very hard to achieve manually.” Room measurement can be accomplished with the built-in measurement tools or imported from systems like Smaart. Expected to ship in February 2014, the Blue Sky Star System One 2.1 will carry a list price of $5,385, with additional Sat 6D and Sub 12D units sold individually for $1,695 and $1,995, respectively. For more details on the system, visit www.abluesky.com. Group One Ltd. is a U.S. importer and distributor for a number of professional audio and lighting manufacturers. The company’s audio division currently distributes Blue Sky powered nearfield monitors, DiGiCo digital mixing consoles, MC2 high quality innovative amplifiers, and XTA digital signal processing equipment. The lighting division currently distributes Avolites lighting control consoles, ElektraLite controllers and intelligent lighting, and Pulsar LED lighting.